The organizers of the North American Commercial Vehicle show announced a listing of companies scheduled to exhibit at the event next year, including all Class 8 truck makers and a diverse selection of suppliers. Among the truck manufacturers on the agenda at the event Oct. 28-31, 2019, are Paccar Inc.’s Kenworth Truck Co. and Peterbilt Trucks brands — both of which skipped the inaugural event in 2017. Also on the agenda are Daimler Trucks North America’s Freightliner and Western Star brands, Volvo Trucks, Mack Trucks, Navistar Inc.’s International Truck brand and Hino Trucks. In addition, trailer manufacturers Dorsey Trailer, Great Dane, Hyundai Translead, Utility Trailer Manufacturing Co. and Wabash plan to exhibit. Equipment suppliers that have committed to attend include Bendix, BorgWarner, Bosch, ConMet, Continental, Cooper Tire, Cummins Inc., Dana, Hendrickson, Holland, Meritor, SAF Holland, Tenneco, Thermo King and Wabco. 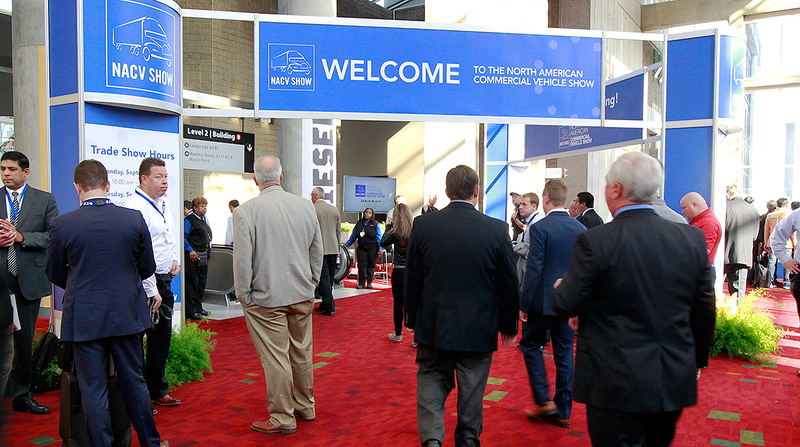 The size of the business-to-business show will expand in 2019, covering 530,000 square feet of net exhibition space — up from 370,000 net square feet in 2017. The show will occupy all of Building B at Atlanta’s World Congress Center along with part of Building A. “We are excited to expand the event’s footprint and offerings next year, and to continue to focus on the needs of a larger audience of fleet owners, fleet managers, fleet maintenance managers and other key decision-makers from across North America,” said Larry Turner, CEO of Hannover Fairs USA, co-organizer of the show along with Newcom Media. Organizers expect to host more than 500 exhibitors next year, compared with 439 exhibitors in 2017.